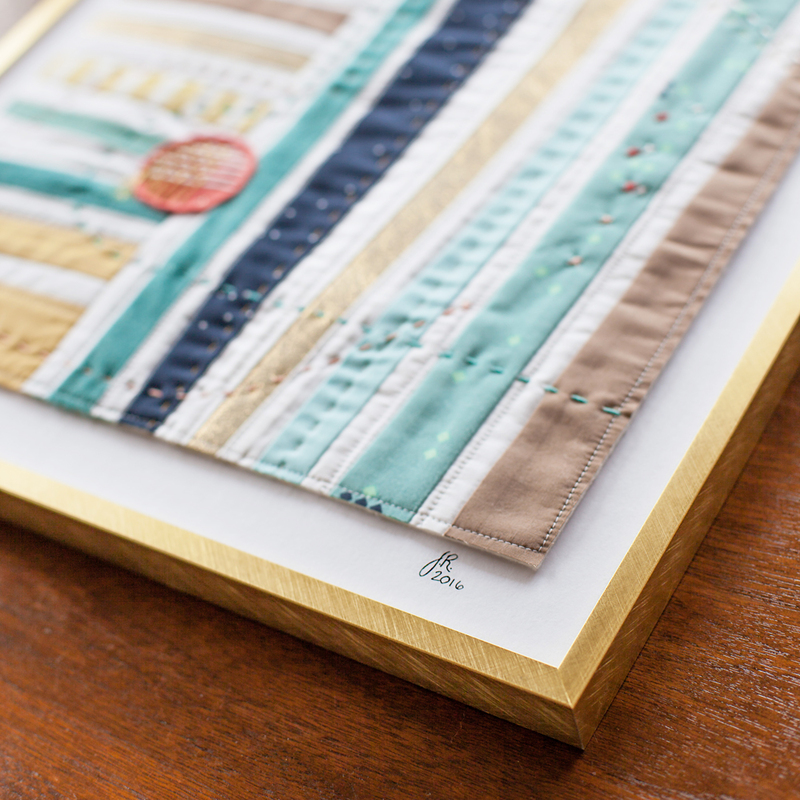 When Suzy Williams, aka @suzyquilts, asked me to be a part of this pattern release I was so excited. First of all, I just love what she’s been up to lately. 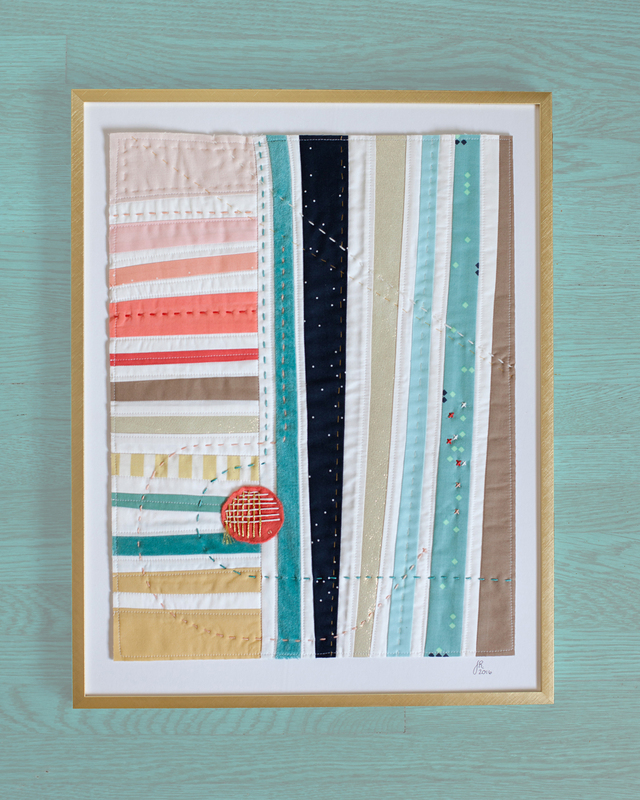 If you are ever in need of quilty eye candy, or inspiration from Blog-landia, Suzy Quilts should be one of your go-to stops. Her IG feed is a feast of color and pretty quilts. Her blog posts are relevant and informative. She’s a rising star in this community, and every bit as sweet in real life as she seems on social media. Suzy is the real deal, people. 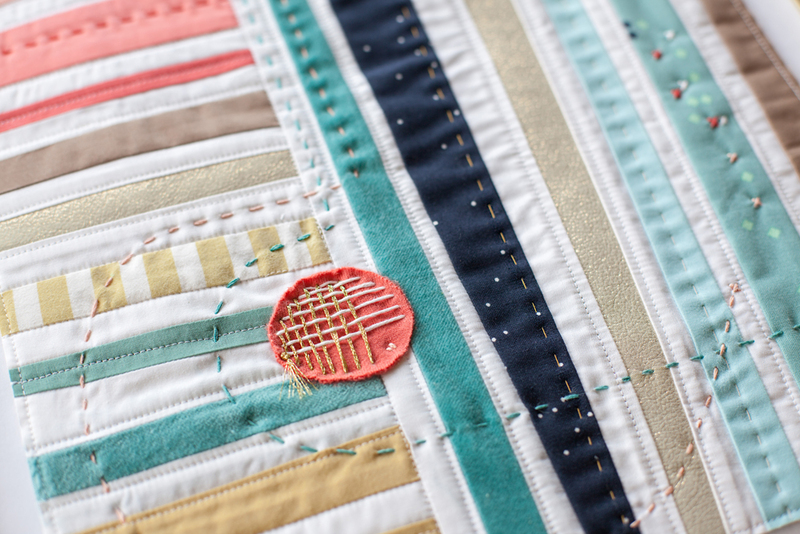 She’s on my short list of quilters who are hitting all the high notes right now. Needless to say, when asked if I wanted to help out with Sew Mojo I didn’t hesitate. 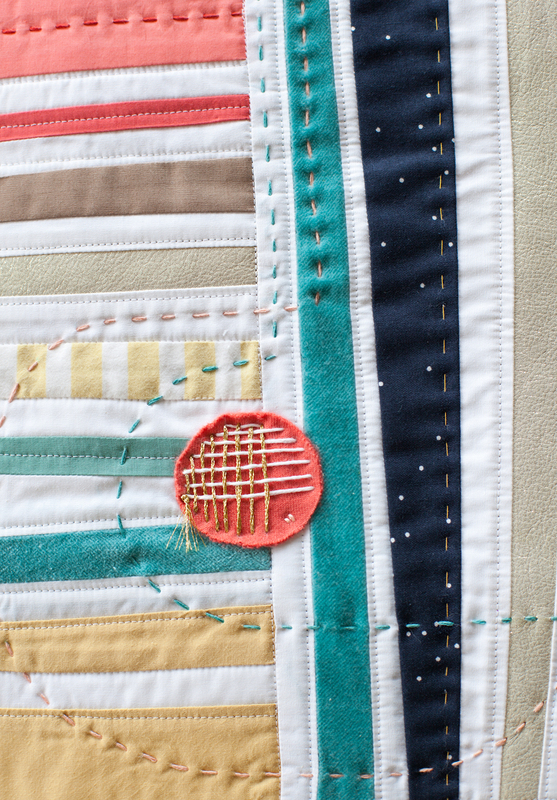 Sew Mojo is a mini quilt designed to be an exercise of sorts. A quick little study with multiple applications. When I as at SewPro convention a few weeks ago I made so many amazing new friends. Although many of them were IG friends already, there’s really no way to replace the real life interaction you get from face to face conversations with like-minded people. One evening at dinner with Suzy and others, the conversation turned to Sewing Mojo, aka Sewjo, and Quilter’s block. If you’ve been sewing or doing creative work for any length of time you know what this is. Sometimes its a complete lack of inspiration. Sometimes it’s just uncertainty about your next move on a project. The point is you become stuck. Lack of creative energy can be a real problem. I know for myself, when I am unable to utilize my “outlet” it can leave me feeling depressed. I’ve learned that being creative with fabric is something I NEED to do for my emotional well being. When I am feeling persistently stuck in my creative life my family will attest, it doesn’t bode well for my emotional state or my mood. So what can we do? How do we jog ourselves out of this state of quilty impotence? How does one get their sewjo back when it feels like the muses have abandoned you? I used to browse Pinterest when I was stuck in this way. I don’t do that anymore. Why? I stay away from Pinterest when I’m in this state because I find it can be an overwhelming place. There are TOO many ideas. Before I know it i’m making all these grand plans for massive projects that I don’t have the time or energy to execute. No. I have discovered that more ideas is not what I need. Sometimes what I need is simplicity. What I need are parameters. I need is something pared down so I can focus on the details with out committing my life to a king size quilt. Sewing Mojo is exactly this kind of project. Its is a simple design. It is accessible at all skill levels. It is essentially an uncomplicated block with few rules that is designed to help you start somewhere. Sometimes just starting is enough. You can work fast and loose just to see what happens, or you can go the slow and deliberate route. Maybe you’re like me and your style falls somewhere in-between. There’s really no wrong way to approach it. While I was working on this piece I found the small scale of the quilt really helped me zero in on the details. I revel in details. They are my favorite. Any project that showcases details is one I always want to sink my teeth into. I began with a palette I loved. I knew from there I wanted to create interest with varying textures so I combed through my stash looking for any materials that worked with the palette. I my eyes quickly zoomed in on that shimmery gold leather and the teal plush velvet. I was off and running. One idea led to another and by the end I had shifted my focus to the composition of the stitches. I kept adding quilting stitches until I couldn’t decide if it was getting better or getting weird. That was my cue to stop. Ha! So how did I feel after completing the first in the Sew Mojo series? Incredibly satisfied. There is much to be said about taking a small project like this a using it to hyper-focus on one specific aspect or element of design. It sharpens your focus while reducing the gravity of the experiment. When there isn’t as much at stake I find I am much more likely to play with ideas. No one wants to spend a million hours on something only to feel in the end that you jumped the gun because you hadn’t fully fleshed out the concept yet. 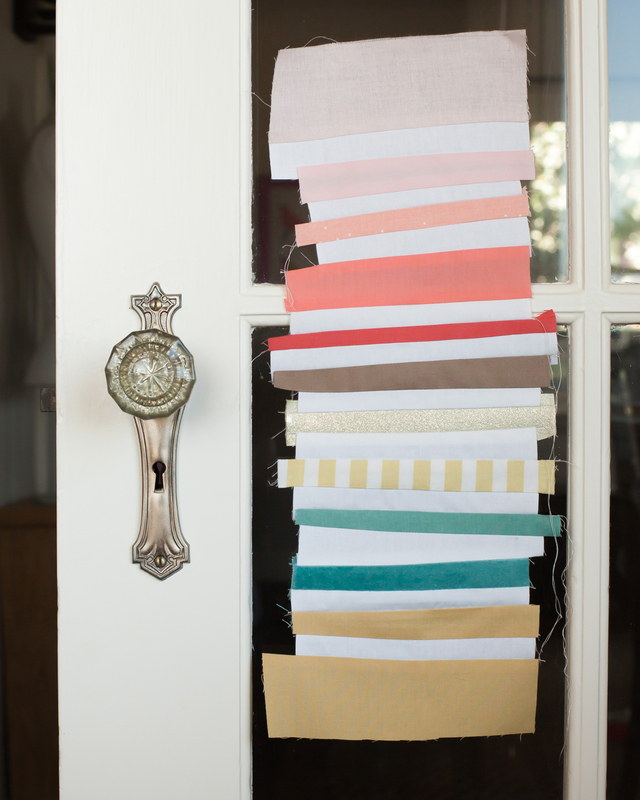 Sewing Mojo is the perfect subject for that kind of experimentation. I loved this pattern for its simplicity and its open invitation to play. I’m excited to see how others interpret it. Experience has taught me that the very best practice is to just get in my studio and get to work. Even if I have no clue what to work on. This is what Sewing Mojo is all about. It clears out the frustration of not knowing what to do and gives you an easy place to start. Small exercises like Suzy’s pattern can be so helpful when you are standing in front of your stash staring with that glazed look in your eyes. Just start. Where you end up and how you get there is where to find the inspiration you’ve been looking for. It’s hidden along the way. Inspiration doesn’t come from lightning bolts, it comes from the process. Being creative means showing up to work everyday and getting your hands dirty. Exceptions to this rule are few and rare. To sum it up, creativity is a lifestyle, not a personality trait. I am so happy with how this project turned out and I can’t wait to hang this on the wall. I often struggle with the artist label and I know I’m not the only one. 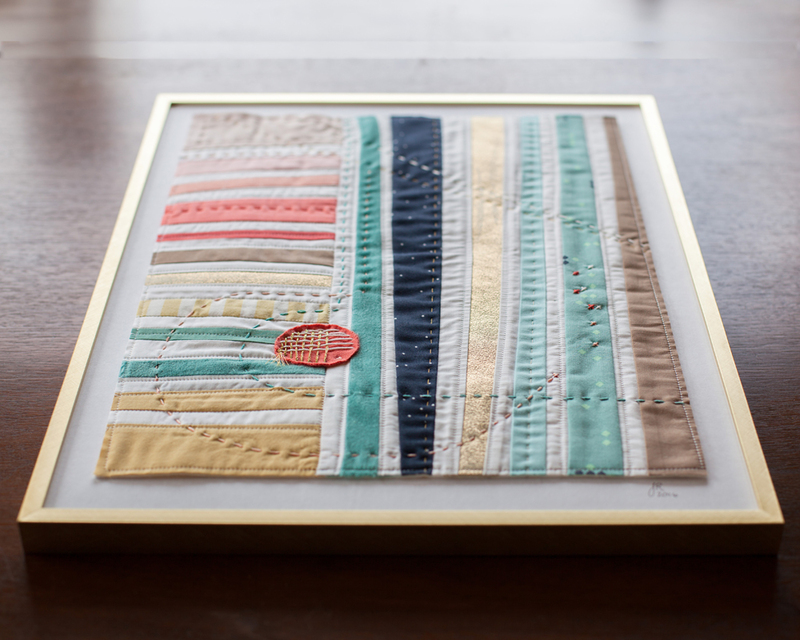 Since another one of Suzy’s goals with this pattern is to remind us that quilting is an art form and we are all artists at heart, I decided to frame and sign my work in a way I have never done before…right on the front; and I have to admit, it felt pretty good. You can find out more about Suzy by clicking HERE…. And you can shop all her patterns HERE. 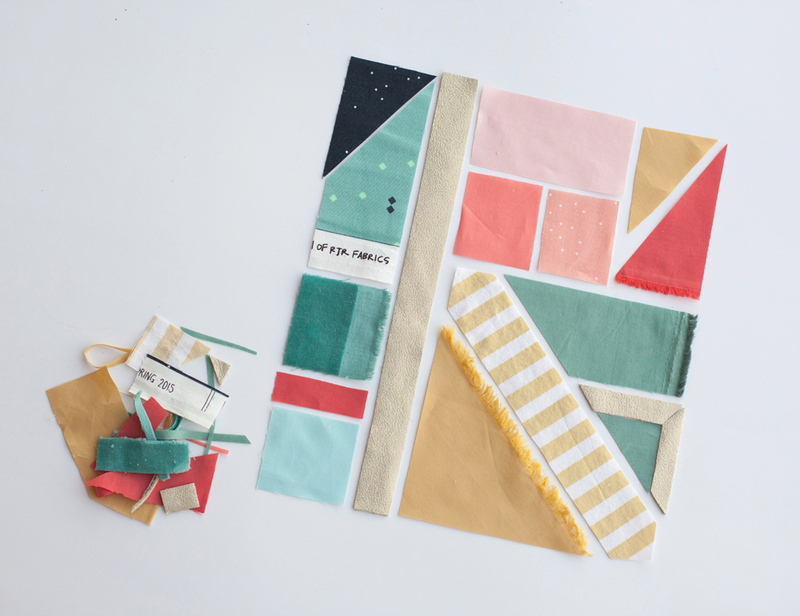 Now go reclaim your Sewing Mojo! I’ve been so looking forward to this pattern. I love all of the quilts I’ve seen by the pattern testers, but yours is my favorite. I adore the details and handstitching you added. Wonderful job! Thank you so much Jessica! You totally made my day. I’d love to see yours when you’re finished. Tag me! Tag me! I love your recap, Jenn! I found myself agreeing with everything. So much fun! 🙂 Beautiful details and beautiful photos! Thanks Jessie. I loved yours as well. 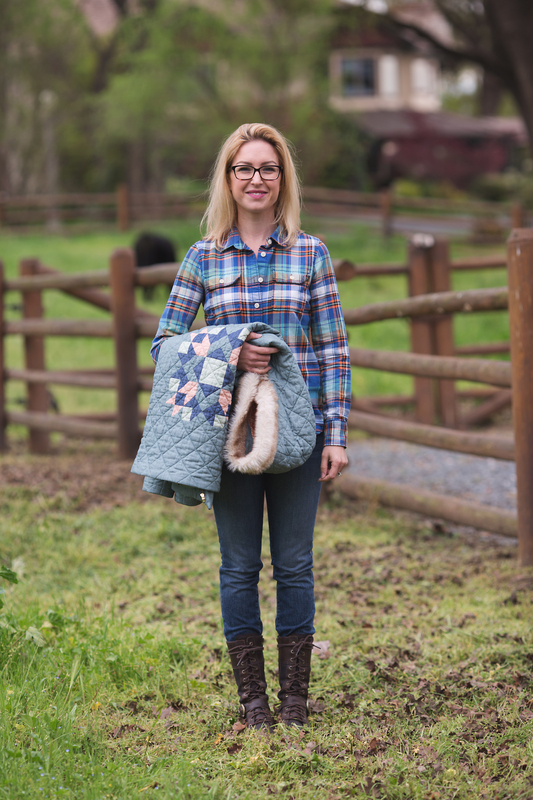 You totally nailed the Quilting Trifecta. Thanks Suzy, and thanks again for including me. Its been great fun. I can’t wait to see what other do with the pattern.